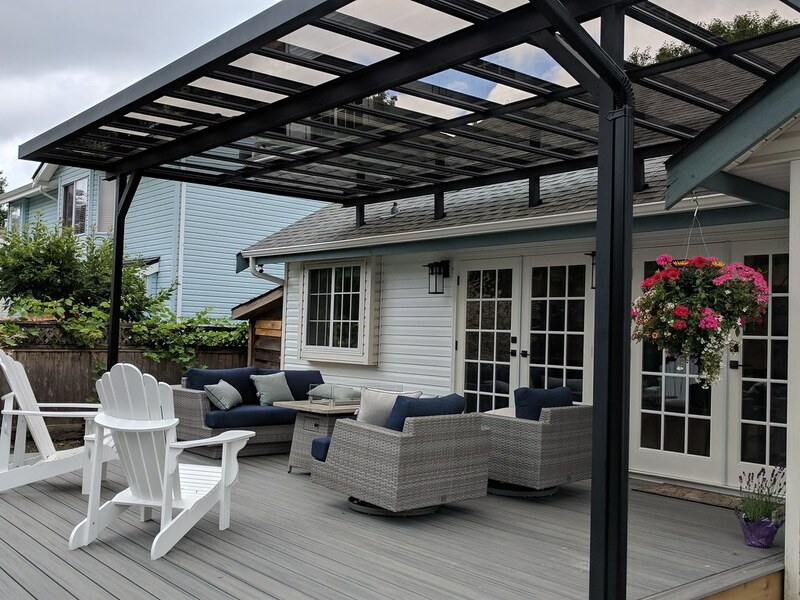 Backyard covered patios can provide a special outdoor living space, providing a transition from indoors to an outdoor protected space, perfect for relaxing, dining or entertaining friends and family regardless of the weather. 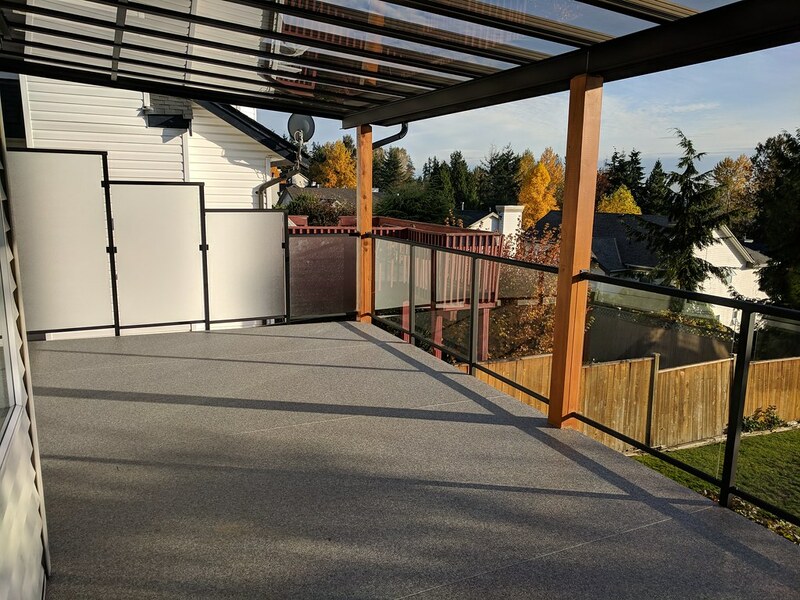 A glass deck cover will serve the dual role of keeping you, your furniture and your patio deck dry while continuing to stay bright. 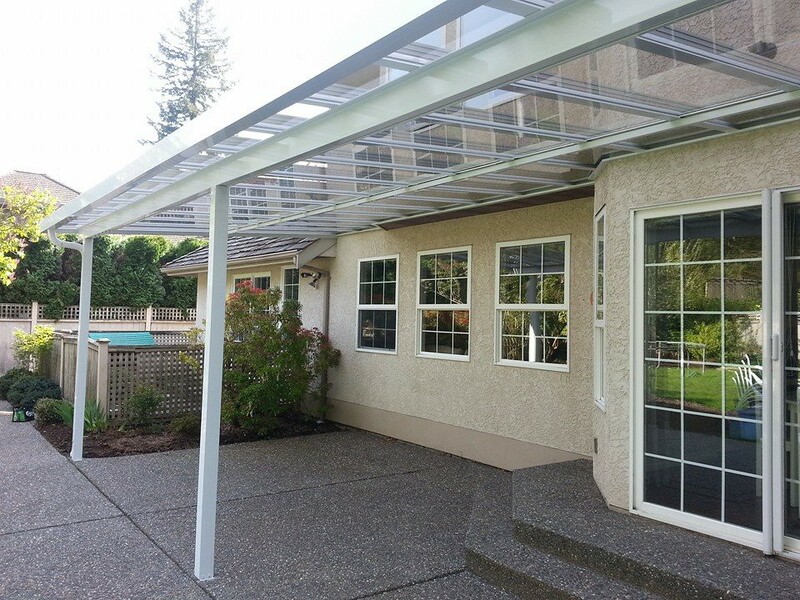 Or choose tinted glass to provide some shade. 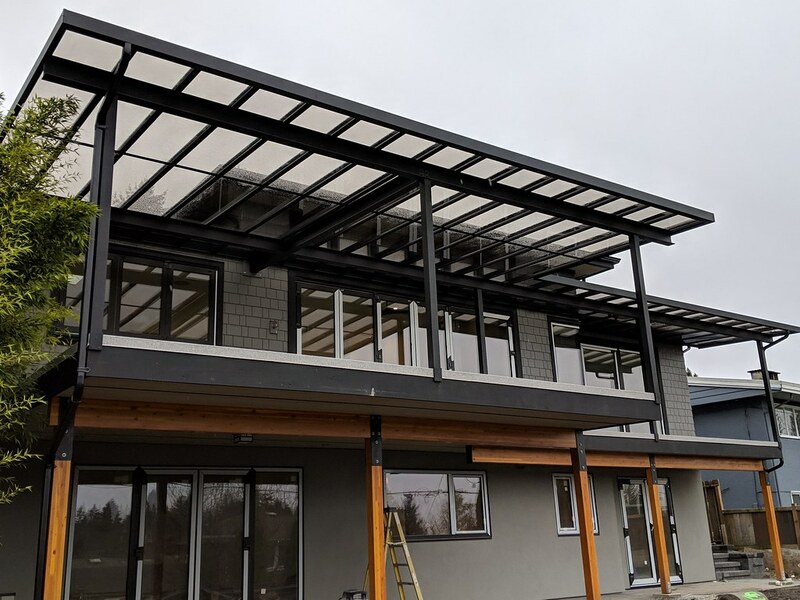 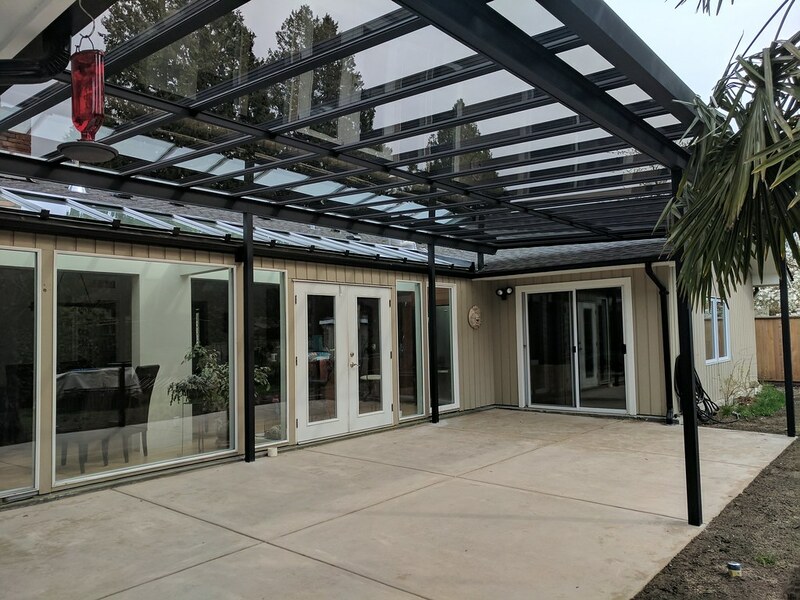 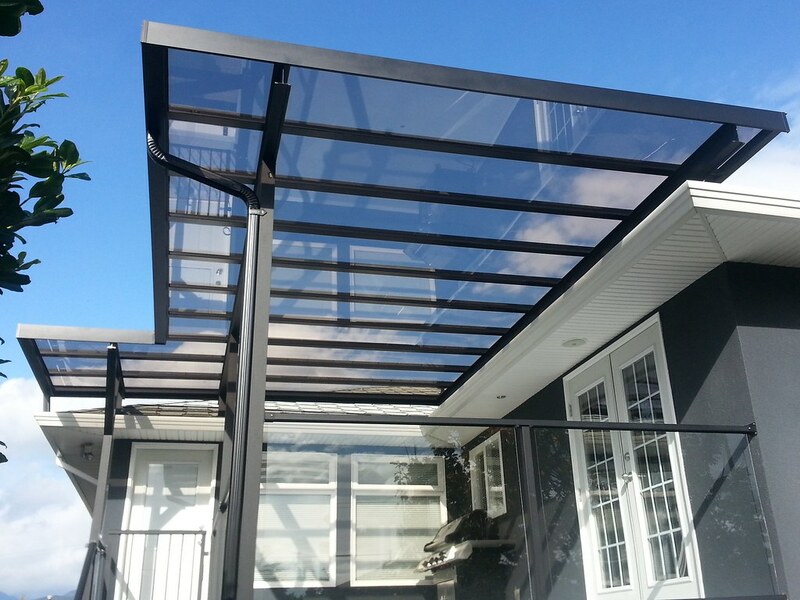 Glass patio covers are our specialty and we are recognized with over 60 years of local manufacturing and installation expertise to be the market leader. 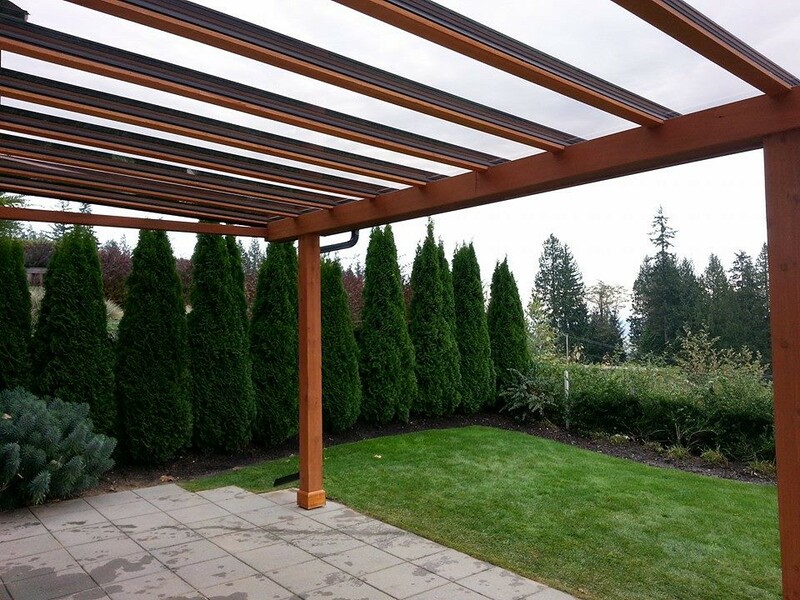 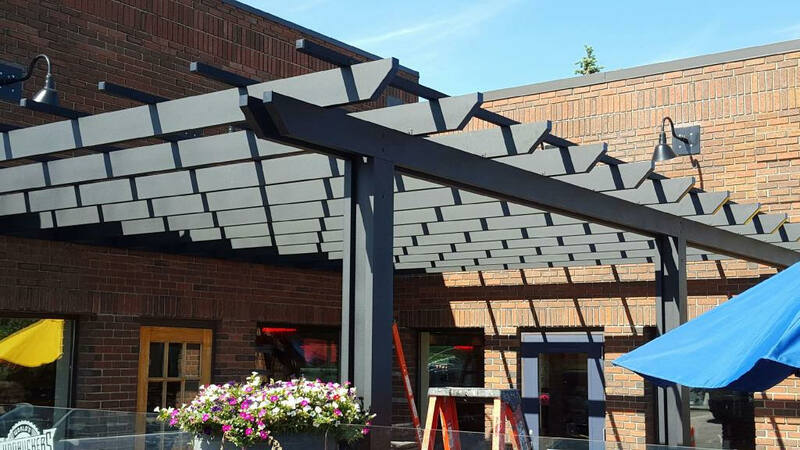 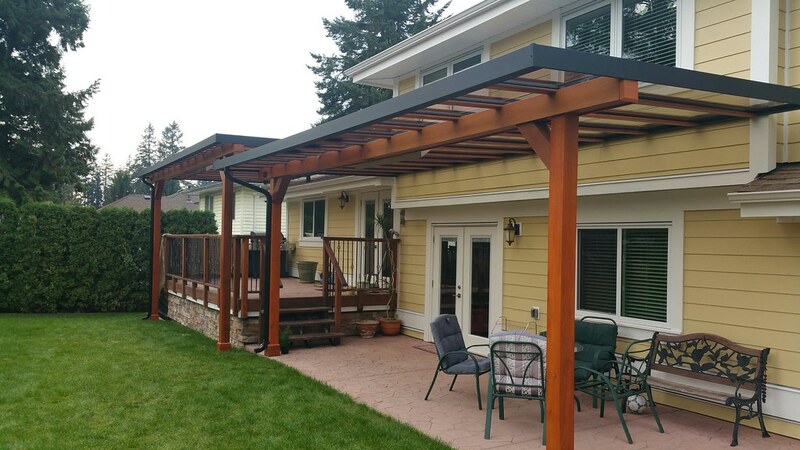 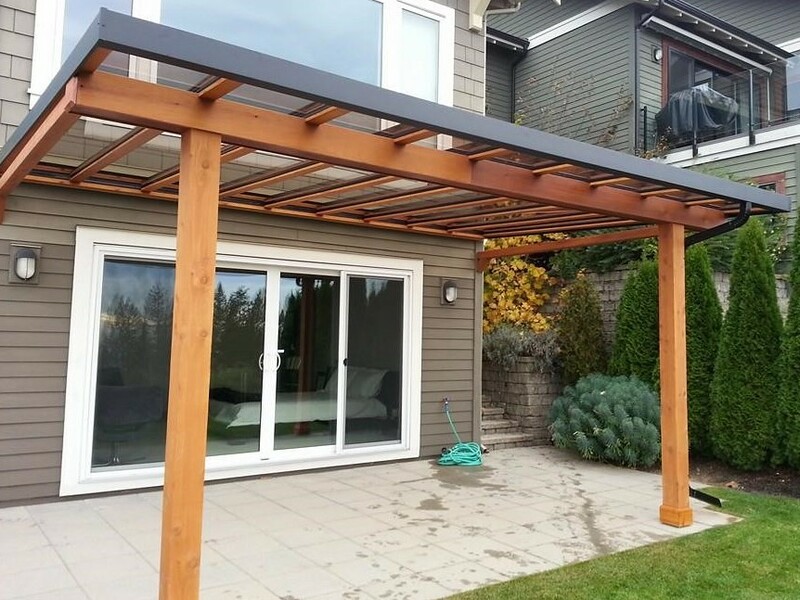 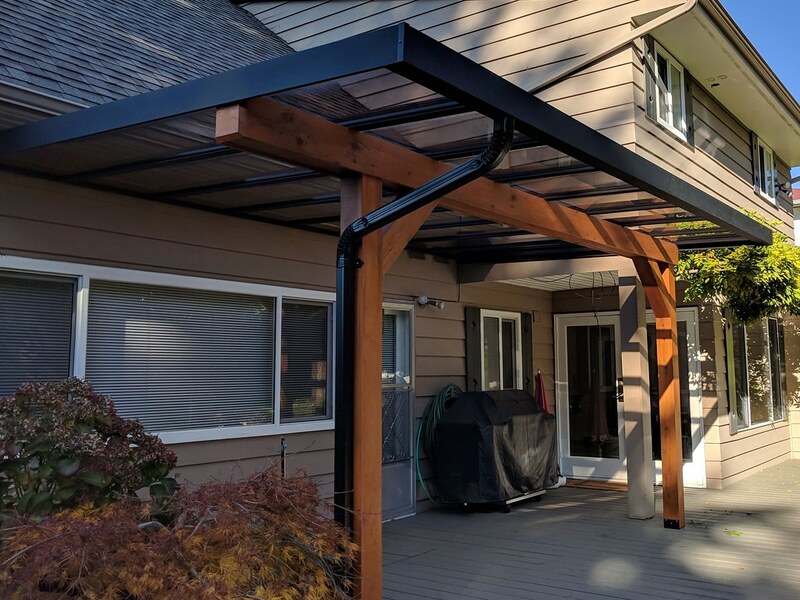 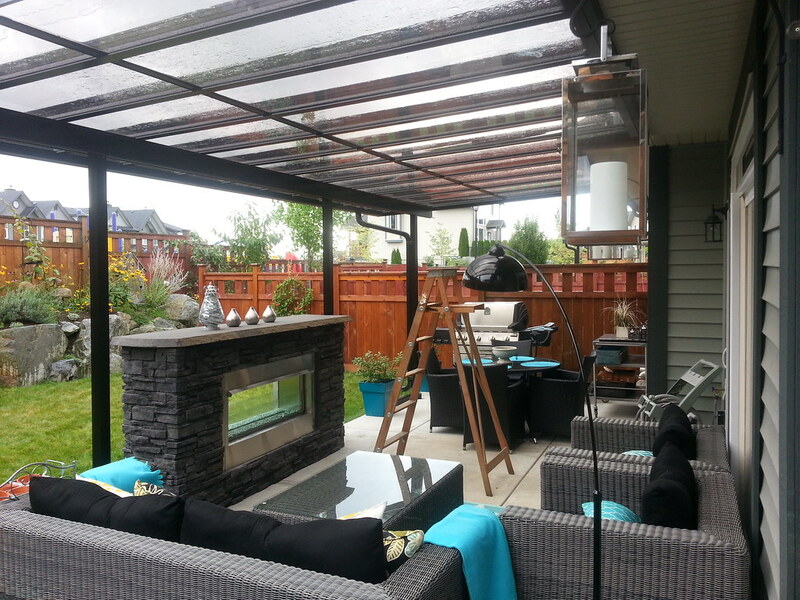 We offer construction options such as greater spans without the need for unsightly additional posts on your patio. 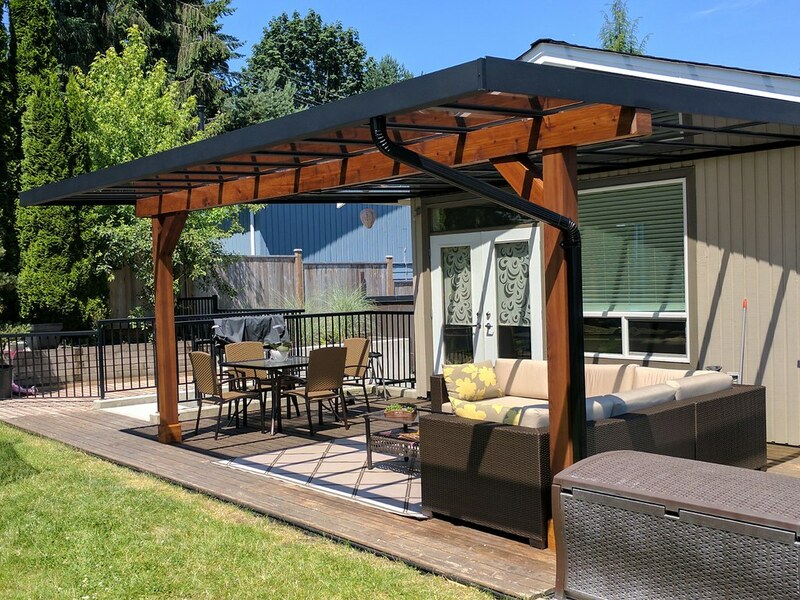 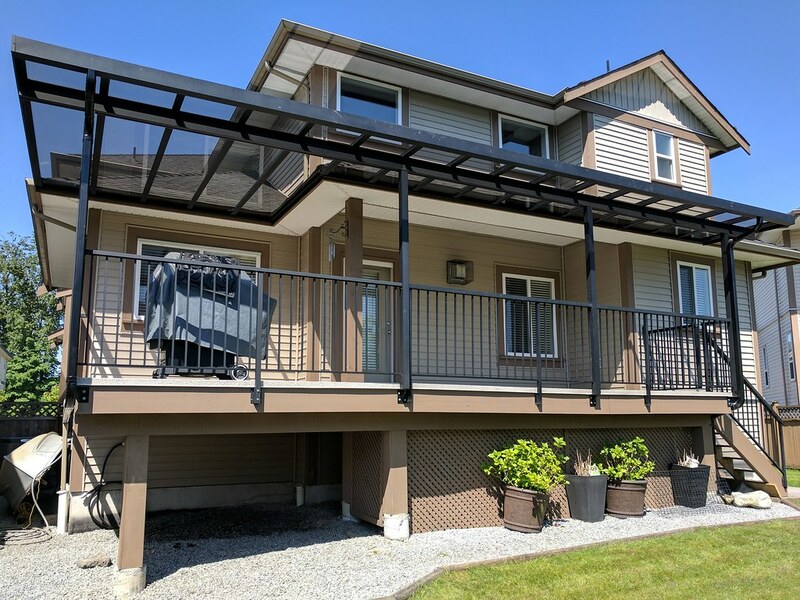 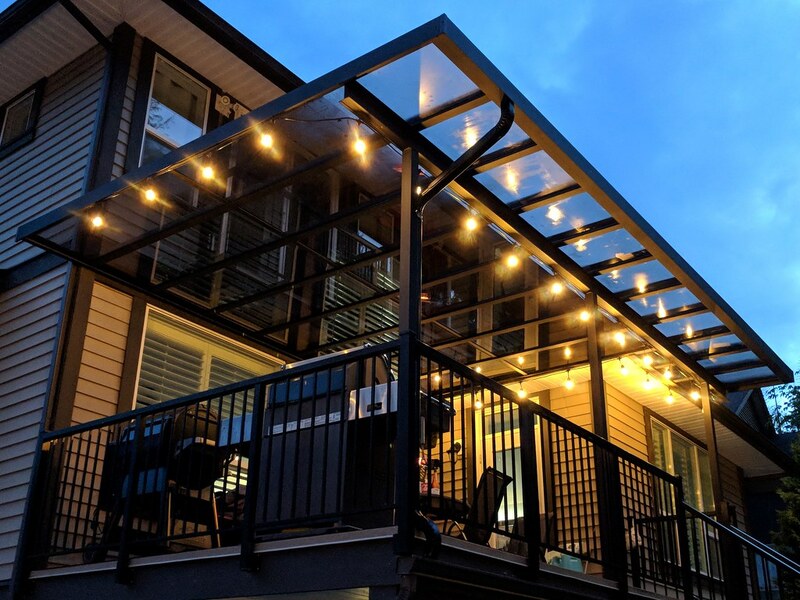 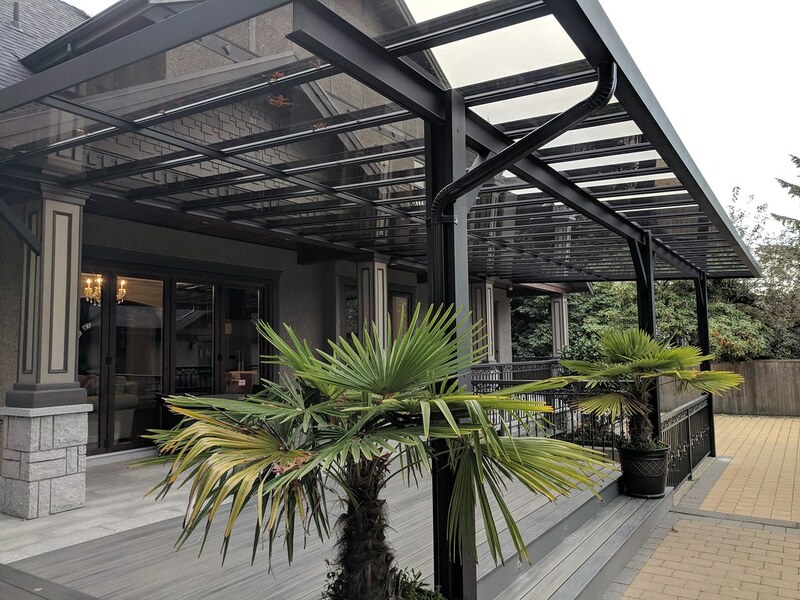 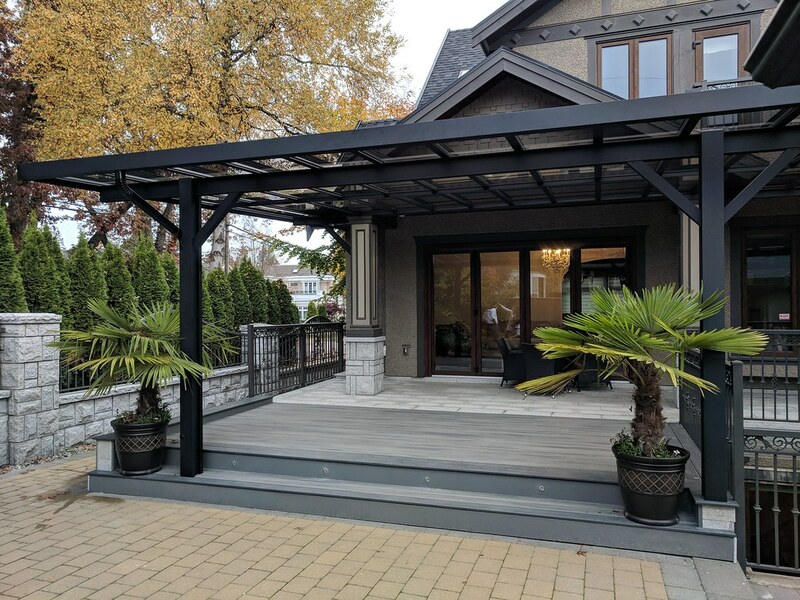 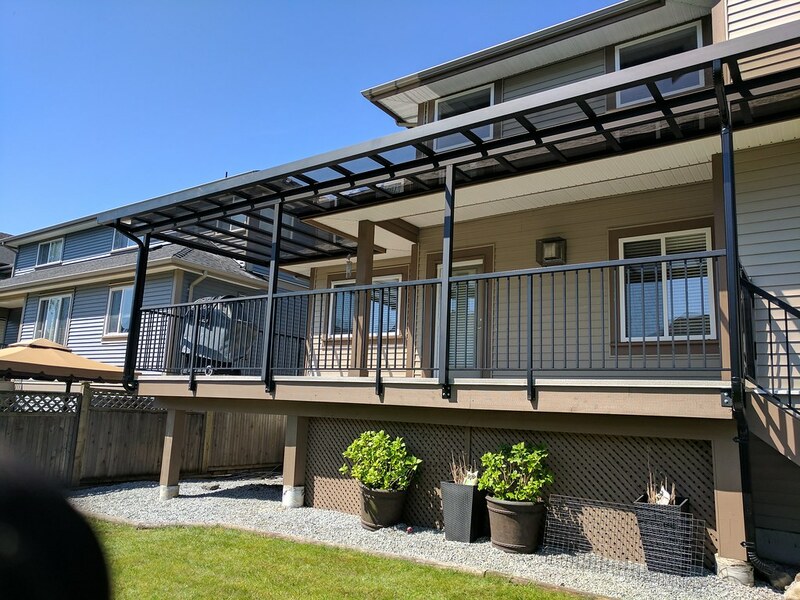 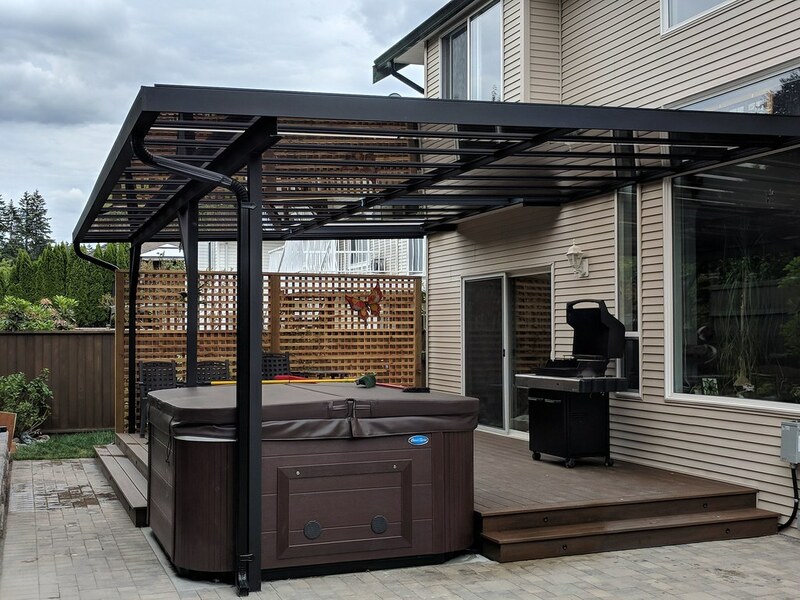 All our patio and deck covers are specifically built to complement and reflect the quality, functionality and appearance of your outdoor living area, now and for many years to come. 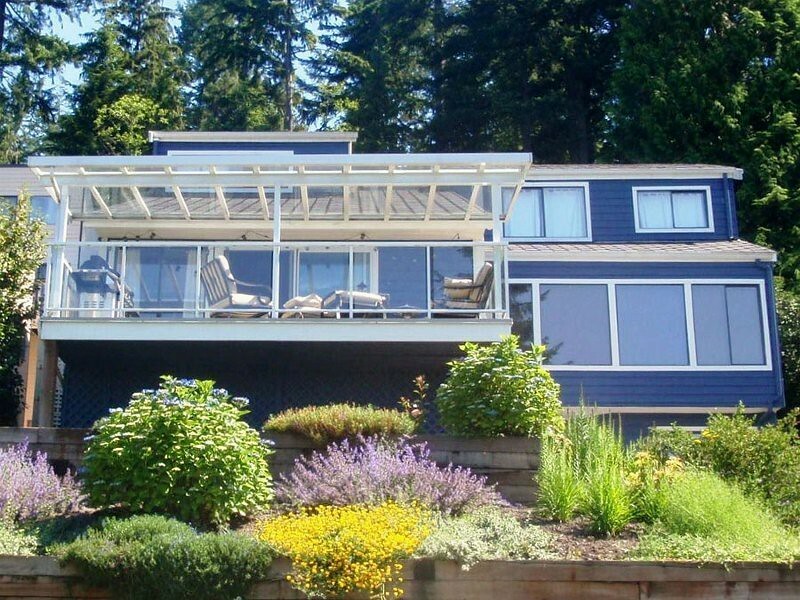 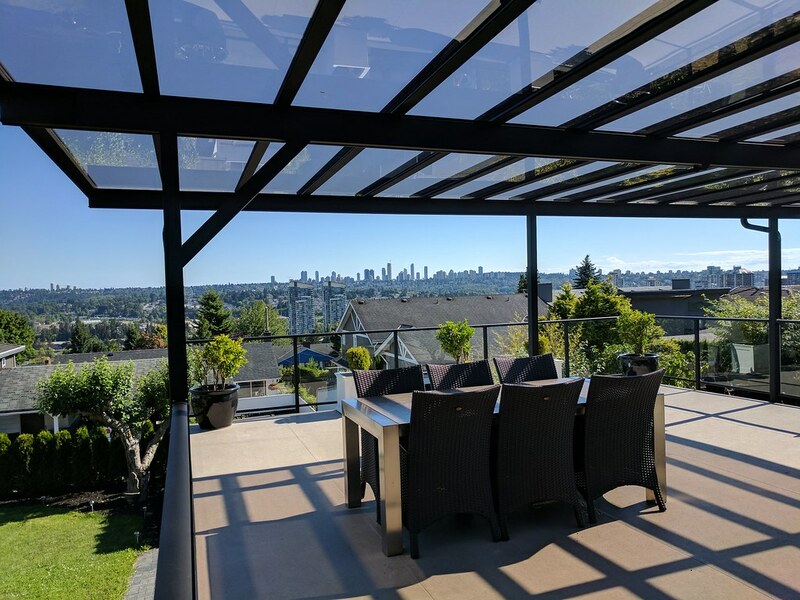 All our glass roof systems are engineered to meet or exceed BC building code with an emphasis on snow load capacity and—in keeping with our core value of never compromising on quality or strength—we only use 6mm safety glass, not the less expensive 5mm glass that is frequently used today to meet lower prices. 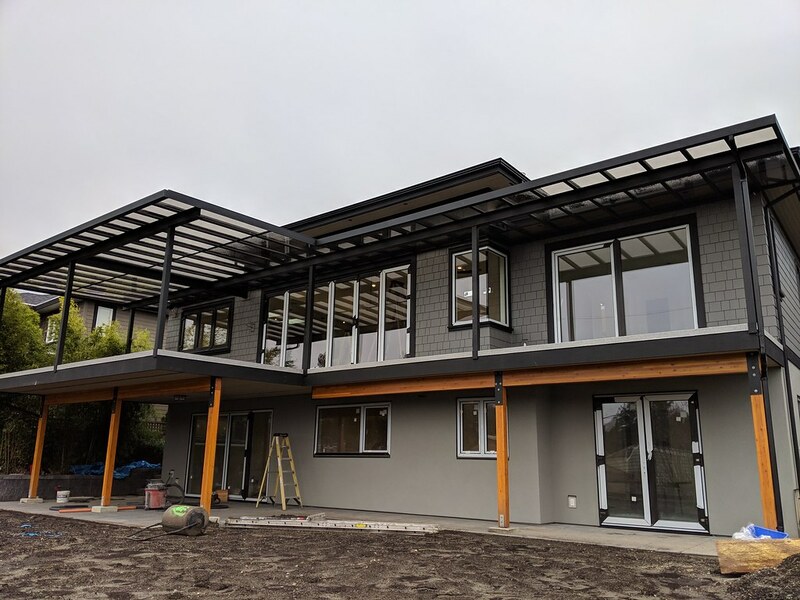 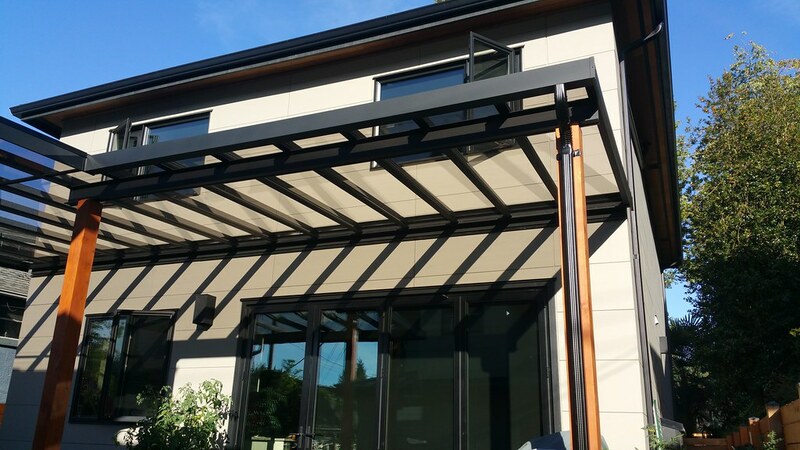 In addition we use only thick extruded aluminum for our gutters, side fascia, and posts, providing greater strength and a more modern smooth finish than the typical less expensive “Ribbed” roll formed product commonly seen. 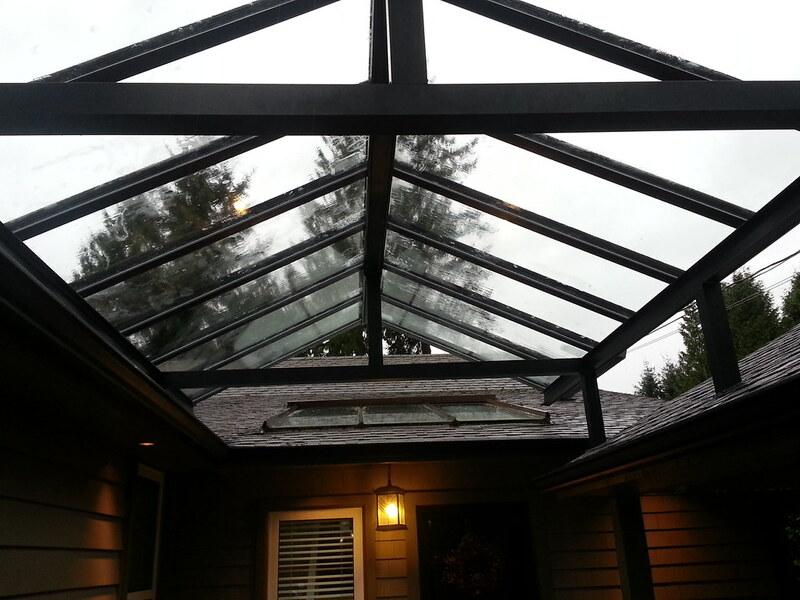 All our I-beams have a screw chase so unsightly screws are hidden and potential for drips are avoided. 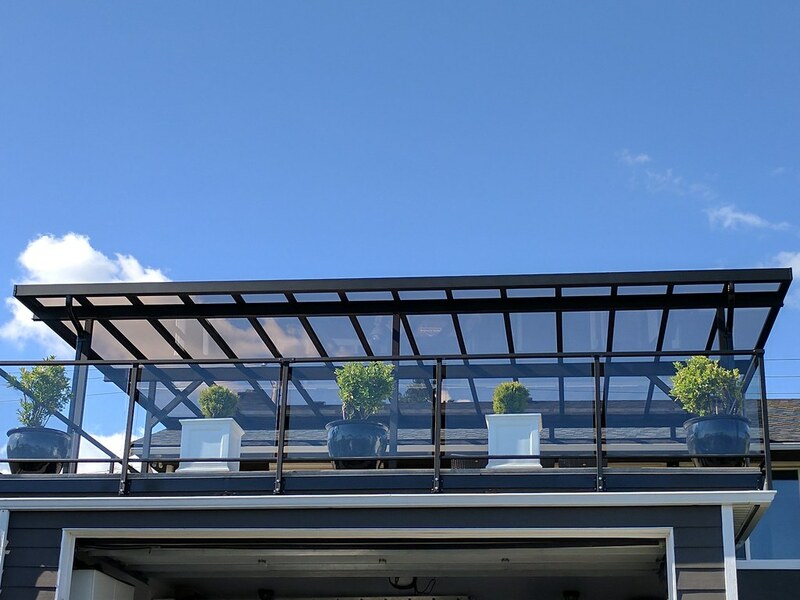 In our unrelenting commitment to improvement and proving a quality product, these are just some of the small detail measures we take to ensure you receive the quality you should expect, backed by the best warranty in the industry. 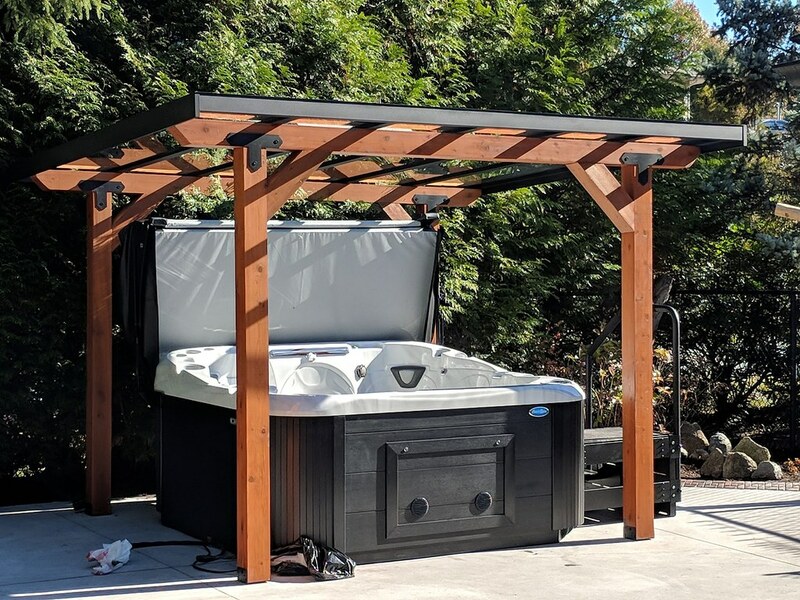 To ensure a professional installation every time, Installation is always by our own dedicated and professional employees, never sub traded out where control of quality may be lost. 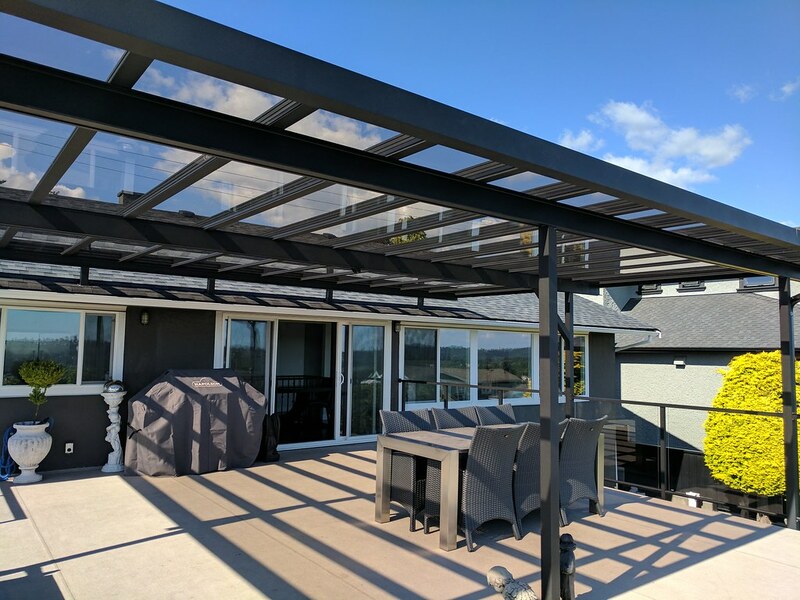 If you are looking for quality products with commitment to excellent service then AAA Retail Division offers you complete peace of mind. 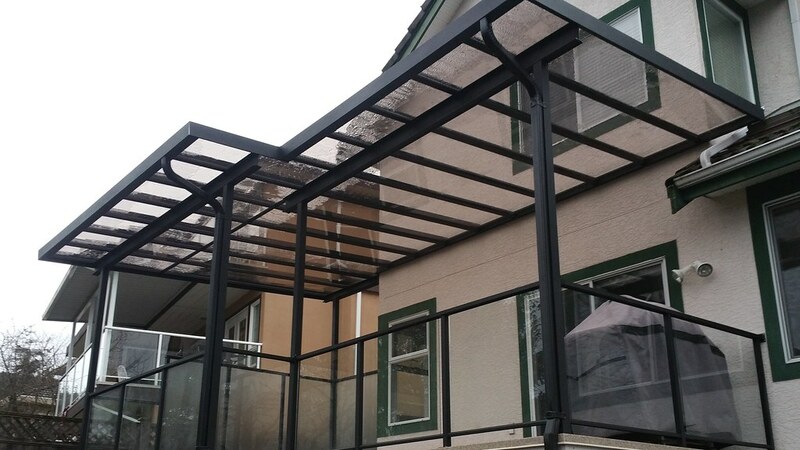 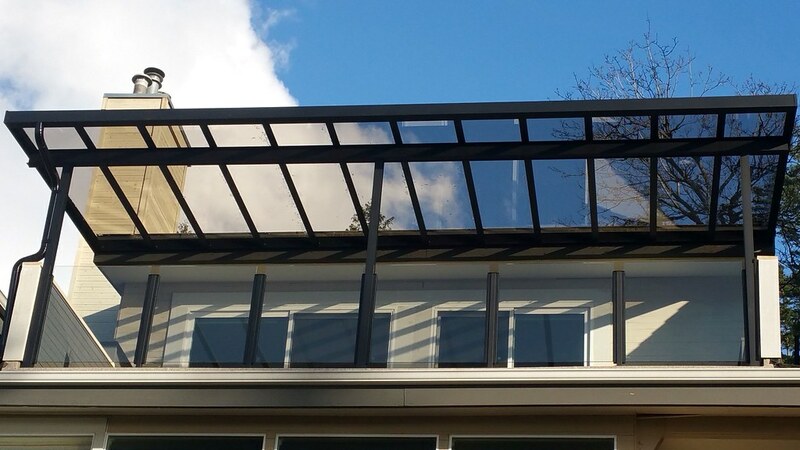 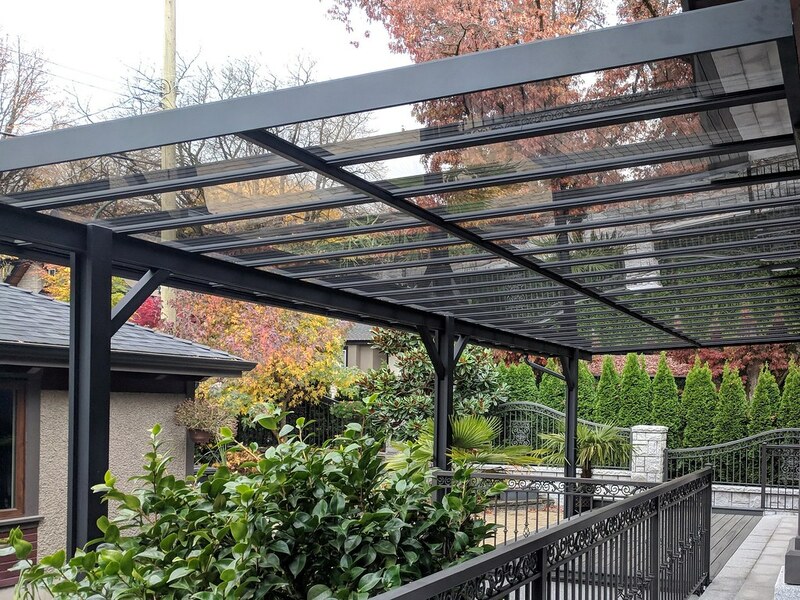 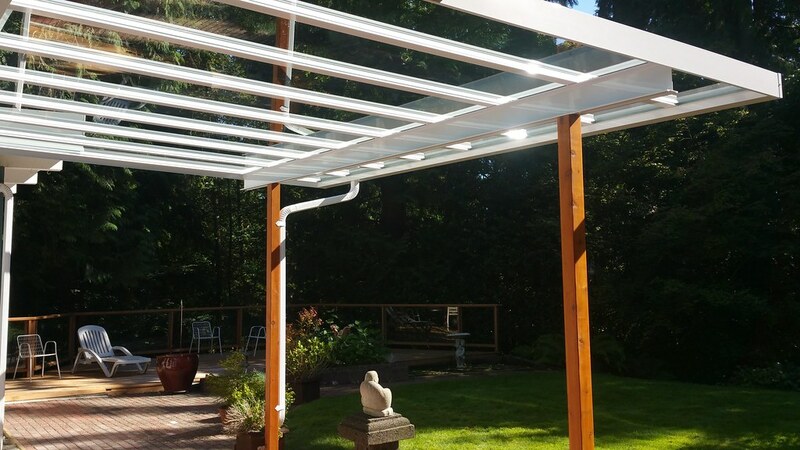 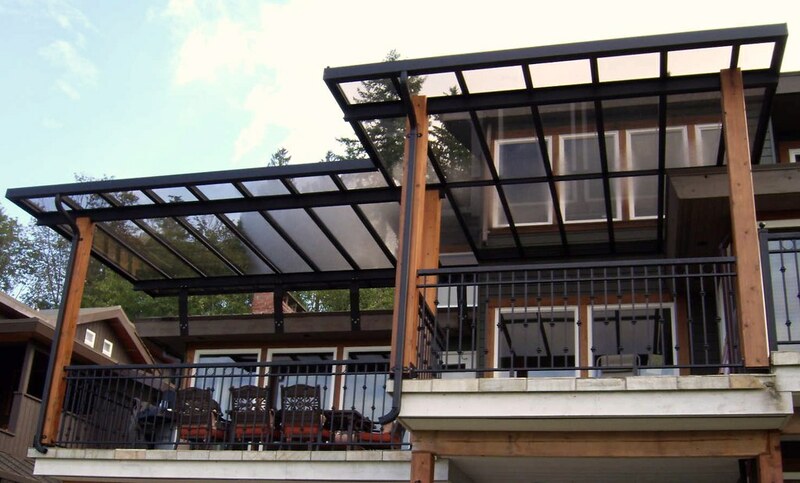 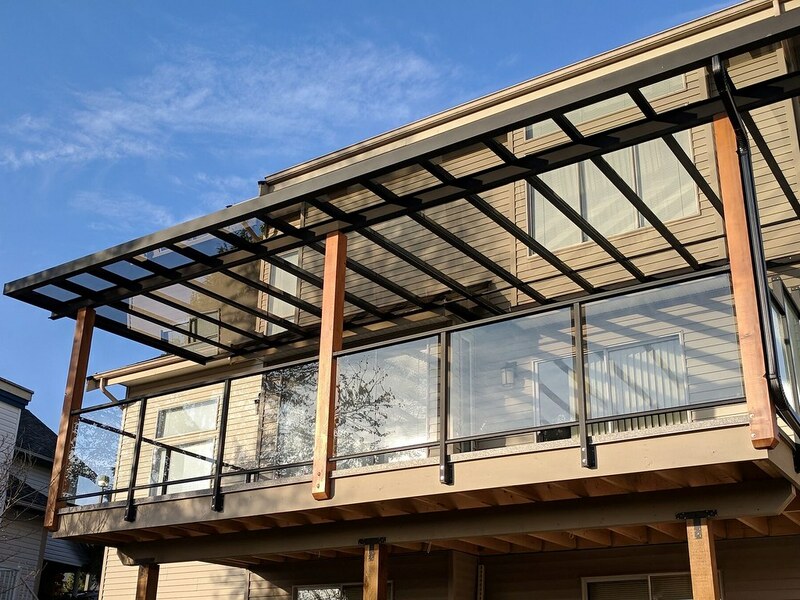 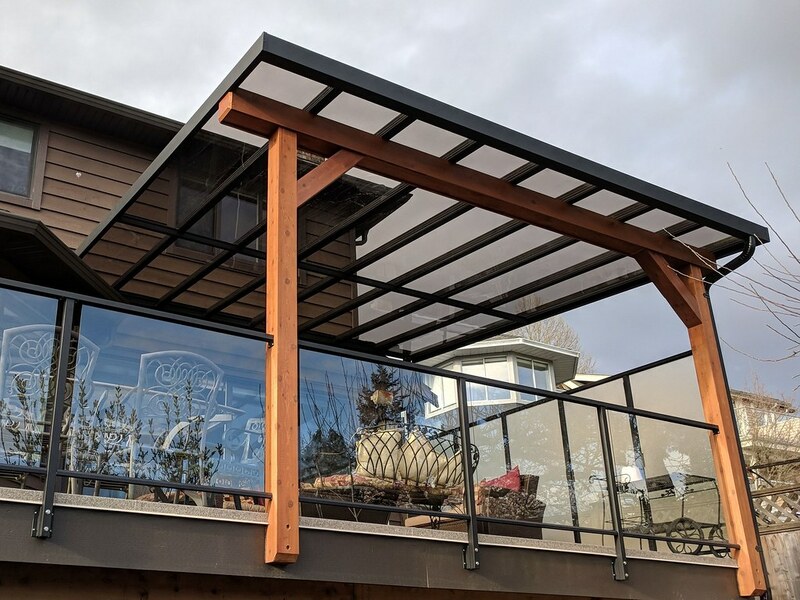 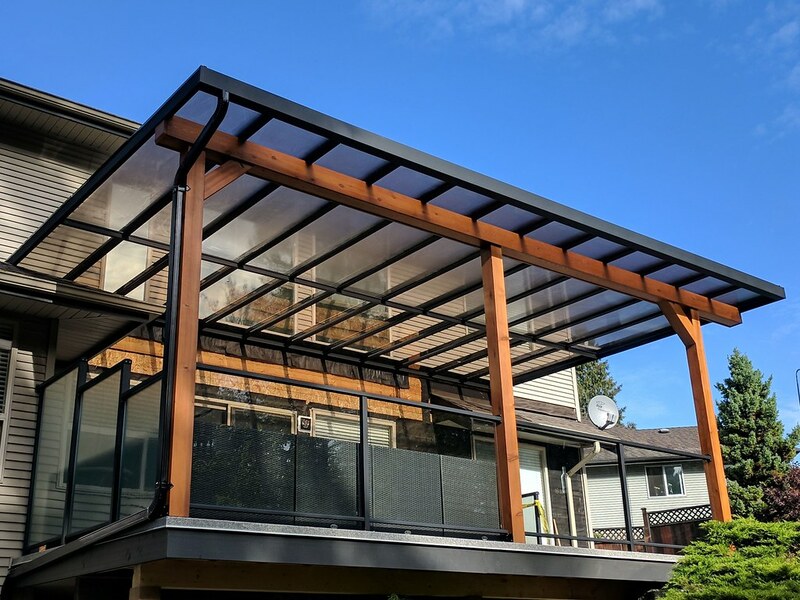 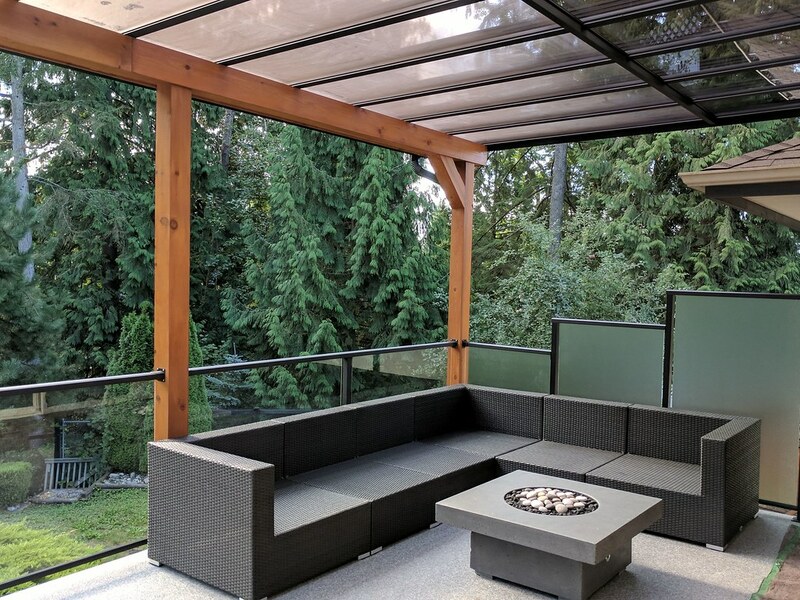 To discuss options for a glass patio cover that best suit your needs, or to schedule a no-obligation consultation contact us today.